The engineering company Tommy Nielsen manufactures semi- and fully automatic blister packaging machines and tools for all packaging purposes. The machines are available as standard models or adapted to the customer’s requirements, or can be custom-designed for special applications. Tommy Nielsen has many years of experience within this line of business and supplies products to customers all over the world. Tommy Nielsen`s R&D department is constantly working on the development of machines and packaging tools and the testing of new materials. The company maintains a close watch on developments within the field of blister packaging and is therefore always able to provide its customers with efficient and sound advice. In addition to the machine and tool production departments, Tommy Nielsen has a separate department for the supply of foil. 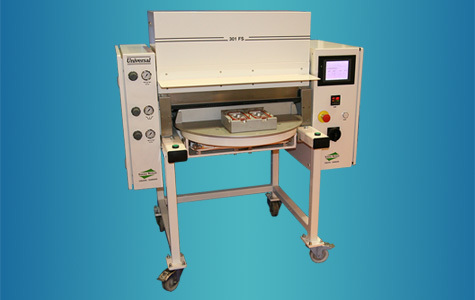 Blister packaging machines for forming and sealing in the same cycle. For all kind of products. Custom design for medical packaging. Forms blister from pre-cut foil.